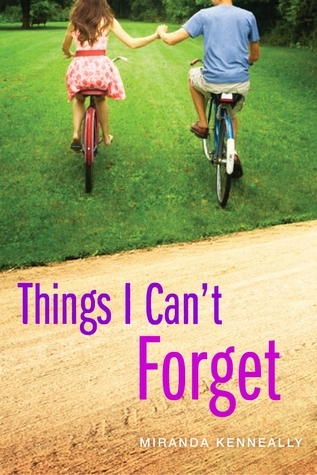 I am SO excited to be a part of the Things I Can't Forget blog tour! Miranda Kenneally is one of my all time favorites and I feel so lucky to be able to help promote her newest book! This one is hosted by the fabulous Giselle from Xpresso Reads and you can find all of the tour info and scheduling information here. Companion to Catching Jordan and Stealing Parker. I feel like I say this after each new book I read of hers, and I'll probably say it after the next one, but Miranda Kenneally has done it again. Her stories never fail to make me smile and I love reading about her characters. I was a little nervous about this one going in, because it's set at church camp and I'm not really a fan of religious type stories, but even though her faith and God are a large part of Kate's life it never gets preachy or uncomfortable. The role that religion plays in Kate's life is important in setting up her character's behavior and the choices she makes. It also gives her so much room to grow. And then there is Matt...funny, sweet, swoony, Matt. I can't commit to loving him more than Sam Henry, but I sure did love him a lot. I felt like he was such a good balance for Kate. I really liked the fact that he seemed so easy going and really just got along with everyone. It was cool getting to see Parker and Will again. I felt like I got to know both of them a little more in this story and it was nice seeing them interact in a different situation. The camp setting was fantastic. You never know what kind of trouble people are going to get into at camp and the possibilities for fun storylines are pretty much endless. I used to go to a camp every year when I was younger and it totally took me back there. I remember kayaking in the lake and running from snakes in the woods. So it was really fun reading about the counselors and what they get into when the kids aren't around. Both of these bad boys are International, kids, so enter away!! Can't pick just one...it would include a Dark Lover to get someone hooked on the Brothers, Slave to Sensation to start them on the Psy/Changling series, maybe The Perfect Play for the sports lover or Simply Irresistible by Jill Shalvis for those that love a good small town contemporary series. For the YA fans I'd recommend Vampire Academy, The Lux Series and Pushing the Limits. Easy by Tammara Webber or Catching Jordan! I would have to put in Halfway To The Grave by Jeaniene Frost cause it's my favorite series. I haven't read any of her books, but I have both books that have been published, I just haven't gotten a chance to get to them yet. My favorite contemporary book has to be This Lullaby by Sarah Dessen. I have yet to read one of her books :( But my fav comtemps right now are Janie Face to Face the sequel to Face on the Milk Carton, Someone else's life and the Dark Time! 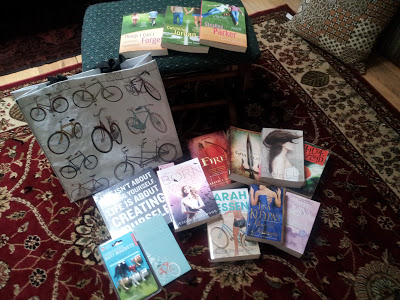 The first in my favorite grab bag would either be Graceling, Harry Potter or His Dark Materials!! 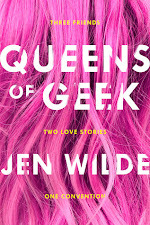 Admiteddly, I don't read enough contemporary YA, but I loved Catching Jordan. One of my favorites is Charade by Nyrae Dawn! I only read Catching Jordan, bu I loved it!! I haven't read any of Miranda's books yet, but I've been meaning to read Catching Jordan. My favorite contemp I can name off the top of my head is Lola. My favorite of hers has been Things I Can't Forget though I've LOVED all 3. I love the Catching Jordan series. Hope I win this! Ah, and sorry, I didn´t see the question. I think that the oneI will grab is... Such a Rush by Jennifer Echols. I love her books! she´s such a good writter. 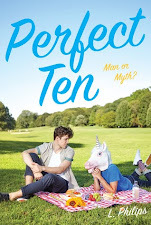 And puf, I comment again: my favorite book is Catching Jordan. I love best friends love story!